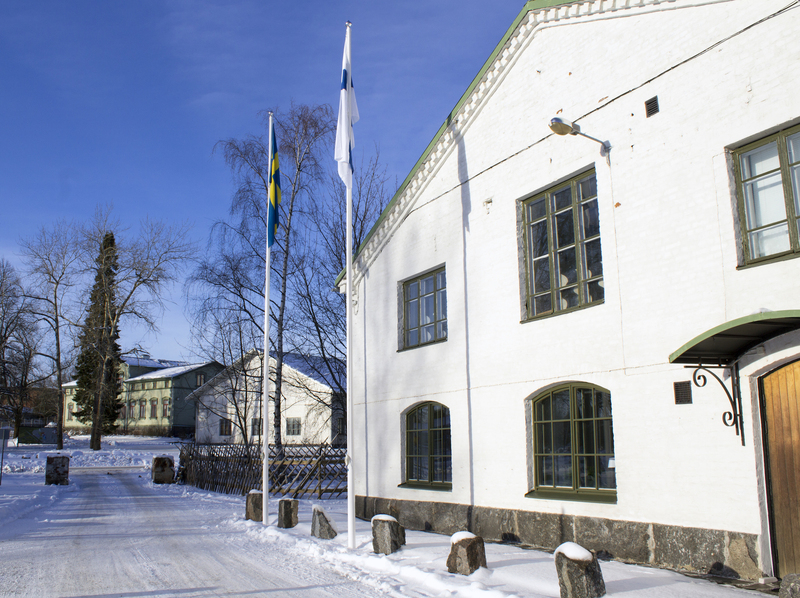 Today, the Kvarken Council proudly raised Finland and Sweden’s flags outside the Council’s office in Pukinkulma, Vaasa. The Midway Alignment project reached an important milestone when the Finnish government’s Ministerial Committee for Economic Policy decided, at the last moment, to submit the project application to the EU. When the intensive work of the last few months was not enough to gain approval from the Finnish government, the region’s politicians had to increase their efforts – and the last few weeks and hours have been especially taxing. “We managed to convince the politicians that the project constituted a win-win situation for all in both the short and long term, and that the project was enormously significant for the entire Northern Europe. Several regional actors on both sides of the Kvarken Strait have taken a large role in the project, and together we can create operational preconditions for the economic life and for interaction between the people via e.g. university cooperation”, tells Mr Olav Jern, Chief Executive of the Regional Council of Ostrobothnia and Board Member of the Kvarken Council. “It is, of course, a huge relief that the project application is submitted to the EU. We will relish this moment and raise the flags to show that we appreciate all the work that has been done in the Kvarken region and for the region. The application has been submitted and the work for political support in Brussels can now be intensified”, says Mr Mathias Lindström, Project Manager of the Midway Alignment of the Bothnian Corridor and Secretary General of the Kvarken Council. Throughout the years, the project has garnered a lot of positive attention all over Europe, and now it is time to strengthen the project’s anchorage in Brussels. An answer from Brussels is expected in the autumn of 2016. The aim of the Midway Alignment of the Bothnian Corridor is to improve the transport system in an east-west direction through Northern Europe and, at the same time, connect to the EU’s transport and communication network for its internal markets (Trans-European Transport Networks, TEN-T) and strengthen it. The improved transport route in an east-west direction will facilitate the access of freight and people to e.g. metropolitan areas, Norway’s ice-free ports and the rest of the world. In addition, the Kvarken region will become more accessible. The project is cross-border and multimodal to the highest degree, and it includes railways, roads and seafaring.